Readers may remember my November 2014 report in which I discussed how gold flowed into China in “tributary fashion” like small streams flowing into a giant one. In this case, the gold has been streaming into China’s increasingly massive thousands-of-tons gold hoard. In January, 2015, I penned an essay titled “China’s Global Gold Supply “Game of Stones,” outlining China’s long-range goal to dominate the world’s physical gold market. Fourth: Purchase for cash, gold production “off the books” from ‘informa’ miners in S.E. Asia, Africa, and South America. 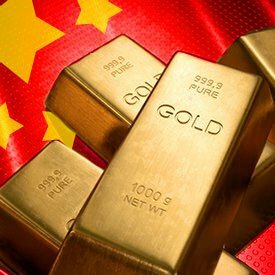 China’s intent is to supplant the U.S. as the largest holder of physical gold (claimed to be around 8,000 metric tons) on the planet. This deception is easier than ever because a significant amount is no longer routed (and thus reportable) through Hong Kong, but rather through other mainland entry ports. 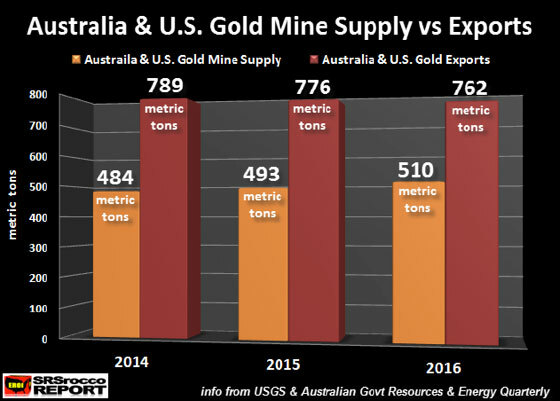 What the authorities admitted holding as of last summer was almost unbelievably small compared to what even the official figures streaming through Hong Kong alone, plus domestic production add to the total, and China is also now the number one global gold producer. David Smith is Senior Analyst for TheMorganReport.com and a regular contributor to Money Metals Exchange the initial publisher of this article. For the past 15 years he has investigated precious metals’ mines and exploration sites in Argentina, Chile, Peru, Mexico, Bolivia, China, Canada, and the U.S. He shares his resource sector observations with readers, the media, and North American investment conference attendees.